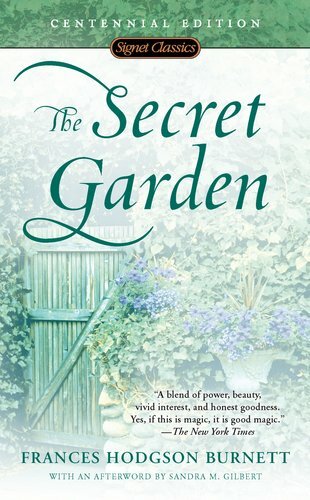 Frightened orphan Mary discovers the joyful wonders of life on the Yorkshire Moors with the help of two local boys and a mysterious, abandoned garden...where all things seem possible. nearly every popular American magazine. Burnett helped to support her family with income from the sale of her stories, even saving enough to finance a trip back to England, where she stayed for over a year. In 1879, Burnett published her first stories for children; two of her most popular are A Little Princess and The Secret Garden. In contrast to an extremely successful career, Burnett's personal life held many challenges. Her son Lionel was diagnosed with tuberculosis at age 15, from which he never recovered. His death inspired several stories about dead or dying children. Burnett lived her later years on Long Island, New York. She died in 1924. Sandra M. Gilbert's most recent poetry collection is "Blood Pressure". She teaches at the University of California, Davis.